As the year comes to a close, it’s a great time to look back and evaluate how effective your communication efforts have been over the year to inform planning for 2014. This is particularly true for your social media channels, which likely collectively represent one of the most consistent communication vehicles for your organization. Fortunately, one thing that’s abundant in social media is data. Just make sure that the data you capture ties back to your goals and objectives. 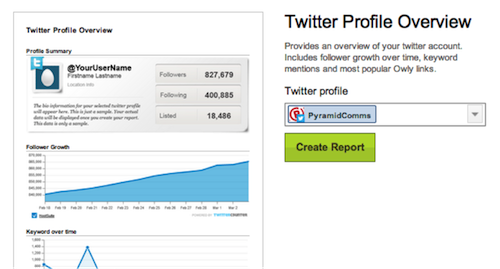 Here are 10 effective (and free) tools for measuring and assessing success in social media. 1. Excel. It cannot be overstated how valuable Excel is for a communications or social media manager. Get familiar with it, and learn to love it. From trending data over time through charts to tracking progress against goals, Excel is the best tool to help you make sense of your data. 2. Facebook Insights. In the last year, Facebook has made significant improvements to its Insight tool. Now you can view and export data at the Page or Post level. You can understand when the people who like your Page are likely to be online, so you can determine when you should be posting. You can understand how many people are engaging with your post and even what type of content performs best. Helpful tip: you can review data back to 2011, but it can only be exported in 90-day blocks. 3. Facebook Graph Search. 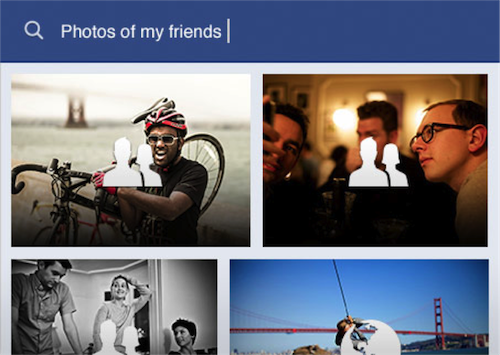 Slightly different than just the standard Insights available through Facebook is Facebook Graph Search. If you’ve ever wondered what other Pages your fans have liked, or what music they listen to, you can actually now query for that information. This will help you build up a more robust understanding of your community, not to mention identify potential partners or peers, build more relevant content, and even do research for new programs. 4. Twitter Analytics. Twitter opened up their analytics platform for all users this year, which was a big win for non-profits. (Previously, analytics had only been available via paid for ads on the channel.) The data available isn't particularly sophisticated, but it will help you understand how your content has performed by tracking interactions like favorites, retweets, and replies. 5. Simply Measured. This Seattle-based social media analytics provider has a whole catalog of free reports available if you’re willing to share out a tweet saying you just accessed a report using Simply Measured. They provide concise analysis for Twitter, Facebook, Instagram, LinkedIn, Google+, and even your website traffic. 6. Followerwonk. 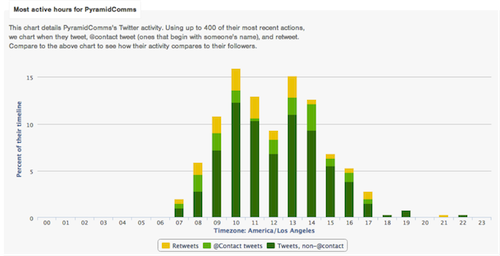 Followerwonk is a tool that breaks down your Twitter followers to help you assess if you’re connecting with your desired audience. You can also easily compare multiple handles to get a snapshot of how you’re doing as compared to your peers or competitors. 7. Bit.ly. If you’ve been tracking your links using Bit.ly throughout the year, make sure you take a look at those stats. This will help you better understand what types of content are most valued by your community, and also how those links travel. 8. Hootsuite. If you’re one of the many organizations using Hootsuite to manage your social media presence, then make sure you take advantage of the reports available through the tool. They have reporting templates available, but you can also build a custom report just for your organization. 9. Google Analytics. Don’t overlook your Google Analytics, particularly if the actions you want your audience to take are anchored back on your .org property. Spend time understanding which channels are driving the most traffic back to your website, which may inform where you spend your limited resources in the future. 10. SocialMention. SocialMention is a free tool that helps you quickly and easily gather a snapshot of mentions of your organization across the web, everything from blogs and forums and events, to news and video. Hopefully these tools prove useful as you start your end of year assessments. And, even better, these tools will continue to be useful year-round. Once you set up your reporting structure, build a template and use it for reporting on a quarterly or monthly basis. We all know that social media moves fast. The more real-time you can keep your reporting, the more actionable it becomes. Happy New Year, and here's to a productive 2014!